Oatmeal Cinnamon Chocolate Chip Bars – I loved these bars! Did you notice I said “loved” as in… they’re already gone? Uh huh, that 9 inch pan of bars didn’t last long here. Oatmeal Cinnamon Chocolate Chip Bars are so tender. But that’s not even the best of it. The smooth, creamy, milk chocolate flavor of the chips along with the cinnamon and nutmeg were very more-ish. I found myself wanting to keep eating them so I could savor those simple yet unbelievable flavors together. I made these bars on a rainy afternoon just because I didn’t have anything else to do. It’s one of the few times this summer I was happy it rained. 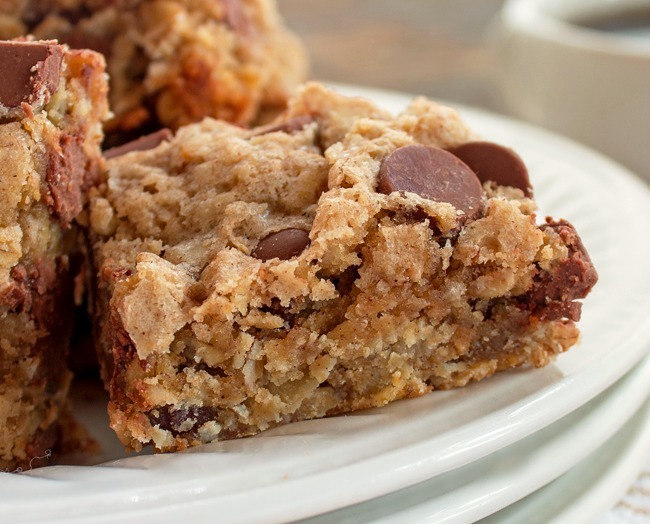 Oatmeal Cinnamon Chocolate Chip Bars… simply delicious. Enjoy! In a large bowl, beat butter,sugar,egg and vanilla until light and fluffy. Combine the flour,baking powder,salt, cinnamon and nutmeg in a medium bowl. Stir to combine. With the mixer on low speed add to the butter mixture. Beat until just combined. Stir in the oatmeal and 1/2 cup chocolate chips. 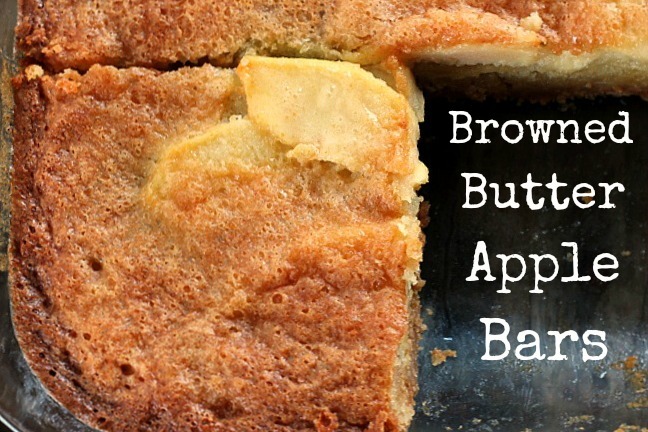 Spread the batter into the ungreased 9 inch baking pan. Sprinkle the top with the remaining chocolate chips. Bake 20 - 25 minutes or until set in the middle and toothpick inserted comes out clean. Yum!! So many good flavors here. Definitely going to make these! Awe Mary you just made my day! I loved the cinnamon and chocolate together, it was heavenly. Thank you so much for coming back to tell me you made them! I found this recipe by chance but it was what I was looking for! My husband’s best friend died very unexpectedly and I am sending food to them every day because no one should have to think about what to cook under these circumstances, right? He has an extensive family, grandchildren too. 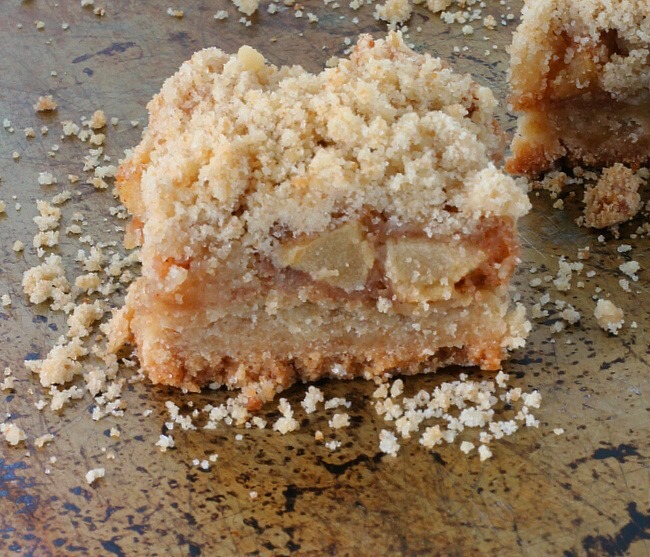 I am sending after school snacks as well and these bars are perfect. 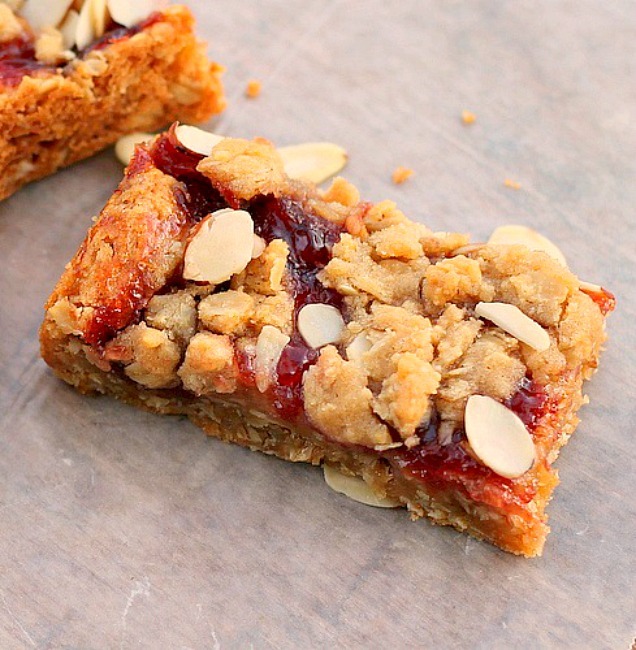 Yesterday I made your cherry oatmeal almond bars which are spectacular. You really helped me out during this unhappy time. Thank you. Hi Peggy the oatmeal in the recipe is NOT cooked. Let me know what you think if you make them, we loved them here! Would old fashioned oats still work in this recipe? Courtney if you have a food processor you can take the old fashioned oats and plus them a few times to make quick oats. It’ll have a slightly different texture with old fashioned oats but it’ll be good. These bars are so delicious! Fulfills my sweet cravings and the oats make me feel less guilty and more satisfied. I took your advice and pulsed the old fashioned oats and the texture is perfect. Will try your other recipes for sure. I finally made these. My husband and our son really liked them. However, the corners were too hard. I used the USA square pan. As far as I know I followed the directions exactly. The tops of mine didn’t look like yours. What a fun way to get those tasty chocolate chip cookie flavours in bars! 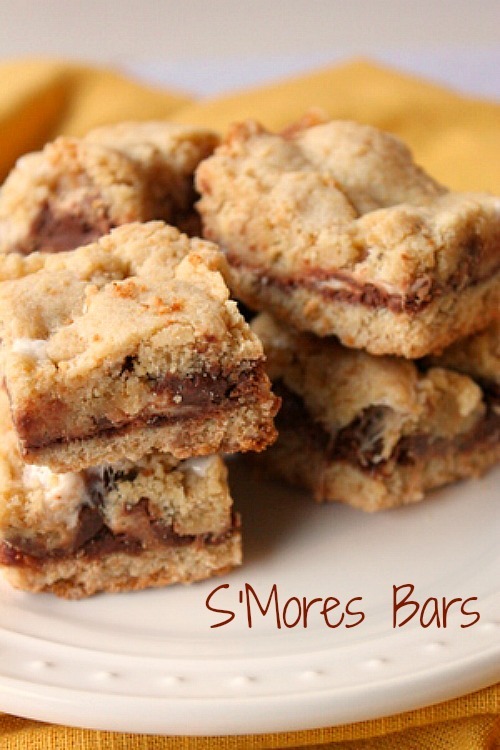 The flavor combination in these bars is outstanding… no wonder they disappeared so quickly! I have always loved oatmeal chocolate chip cookies, but had never tried to make oatmeal chocolate chip bars before. I can’t wait to try this recipe! The addition of cinnamon makes them so perfect for Fall! These look incredible – they are the perfect snack. I love the inclusion of cinnamon. These chocolate chip bars would go fast in my house. 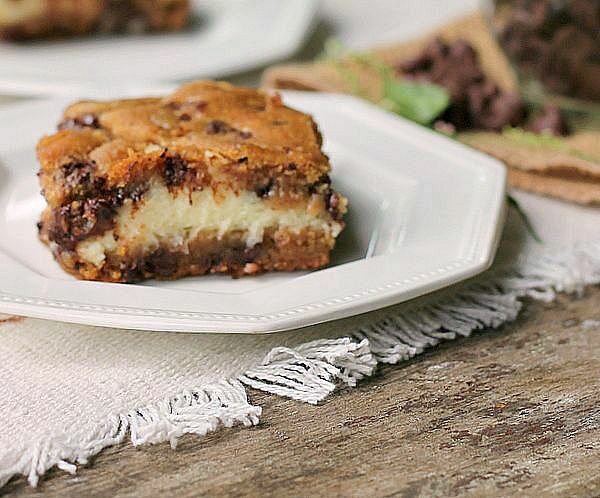 Anything with chocolate chips and my kids would devour that in no time. This is such an incredible mix of flavors! 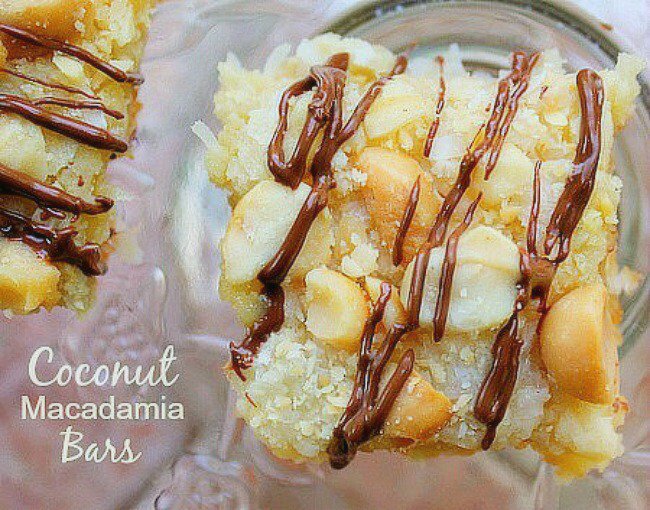 I need to make these bars asap! I love the combination of cinnamon and chocolate so these bars are divine! Can’t wait to make them again! These bars are incredible! My family had them gone in an instant! I’m convinced there is no better combo than oatmeal and cinnamon…UNTIL you added chocolate chips! Definitely trying this for a holiday brunch! These look perfect! I love easy to assemble bar cookies! i’m going to make this when my son comes home for Thanksgiving!